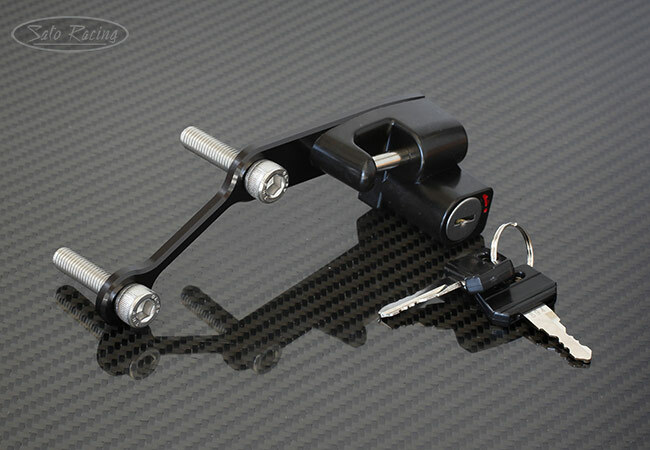 Keep your helmet secure with this SATO RACING Helmet Lock for 2018 and up Suzuki GSX-R125 / GSX-R150! This rugged lock has a tough piston-type lock mechanism attached to a black-anodized aluminum base. 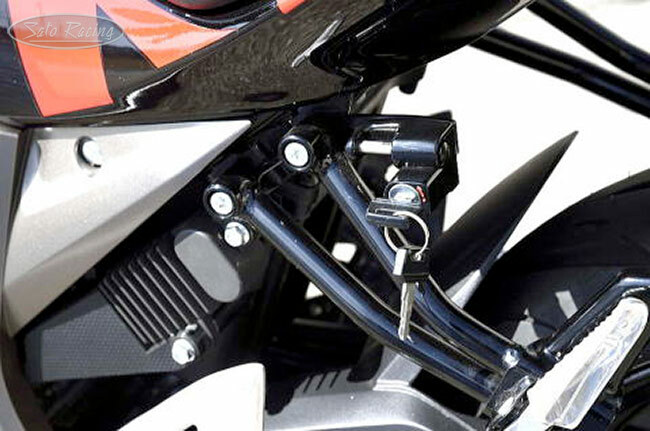 It mounts in a convenient location below the seat, sandwiched bewteen the left passenger peg bracket and the frame. The perfect solution for those times when you want to stop someplace while out on a ride and don't necessarily want to carry your helmet around with you. Includes 2 keys.